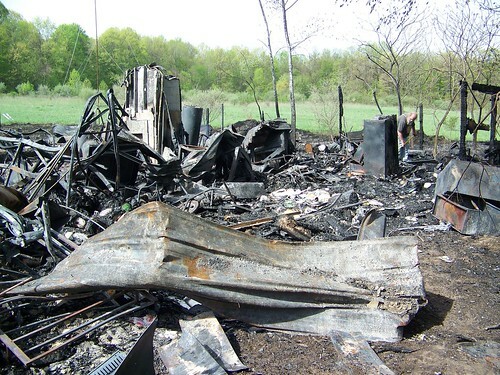 As I mentioned in a friends locked post, my brother Dan's polebarn/home burned down a couple of nights ago. No insurance and much was lost including personal items that money can't replace. He still has a lot, including rescued cash, some money in the bank, a car, and several offers of places to stay. Life goes on. 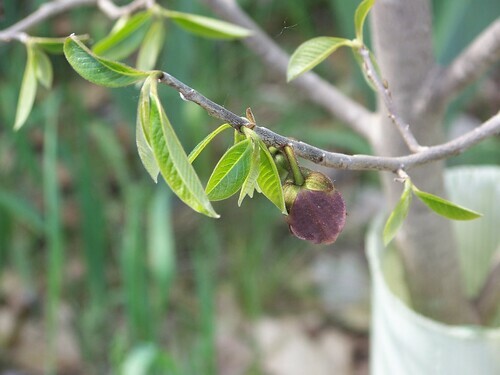 This spring, the paw paw I planted in front of my house finally flowered. Wow. I am so sorry about Dan's house. I hope he can rebuild. I did not realize paw paw would even grow in the US, much less Michigan. We live at the northern limit of the paw paw range. Lake Michigan lake effect moderates our temperatures enough so that wild paw paws can survive in sheltered locations. I guess a winter fire in frigid weather would have been harsher, but that looks plenty harsh to me. As you say, life and hope. "Way down yonder in the paw-paw patch!" It sounds like they may (have) grow(n) in the South, Alabama specifically. I had not seen this post until now! Oh my! Seeing Renee perform the other night really gave Dan a boost. I'll pass your offer along to him.